Soul Train comes to Forest Park HS. 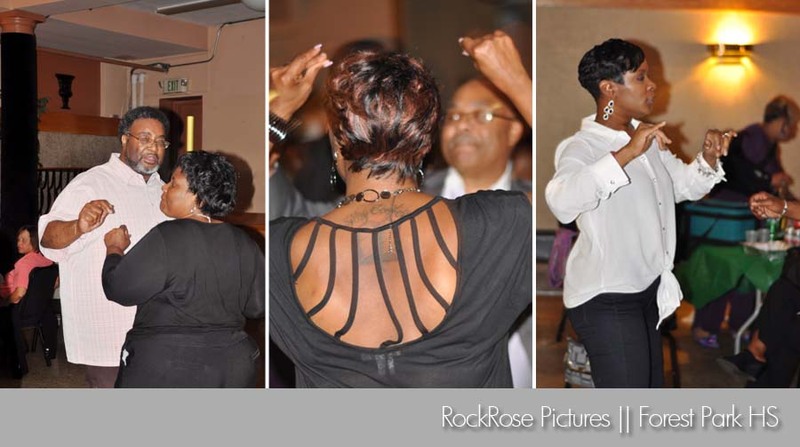 This is part 2 of Forest Park's All Class Reunion Dance. 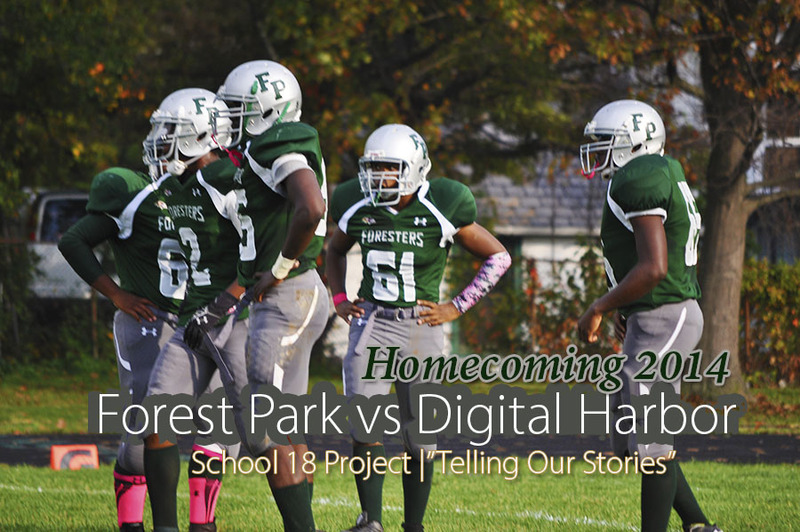 This annual event is hosted by Forest Park alumni and reconnects students across decades. These graduates may be older but they still know how to throwdown - Soul Train style. Tagged with Forest park high school, ashburton, Eldorado Avenue, Liberty Heights avenue, soul train, reunion, baltimore. January 19, 2015 by clinton green. 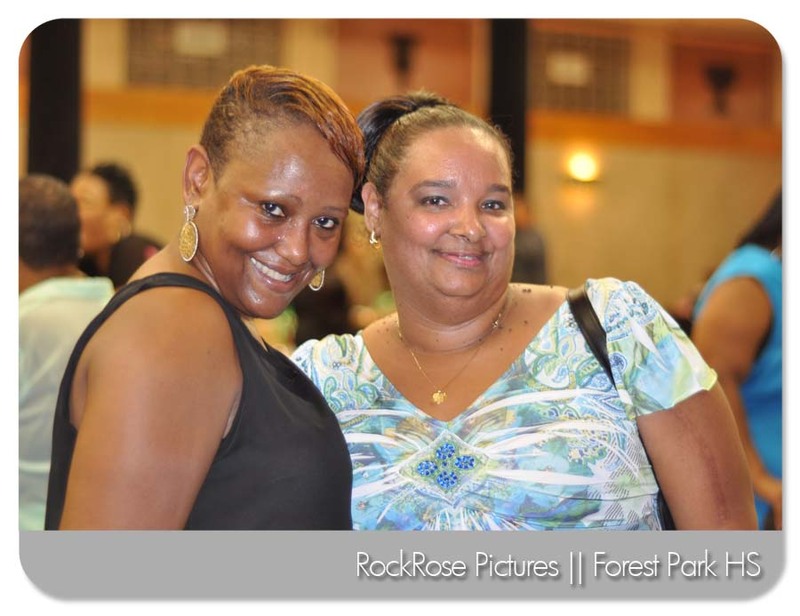 Forest Park High School's All Class Reunion is an annual event that grows each year. 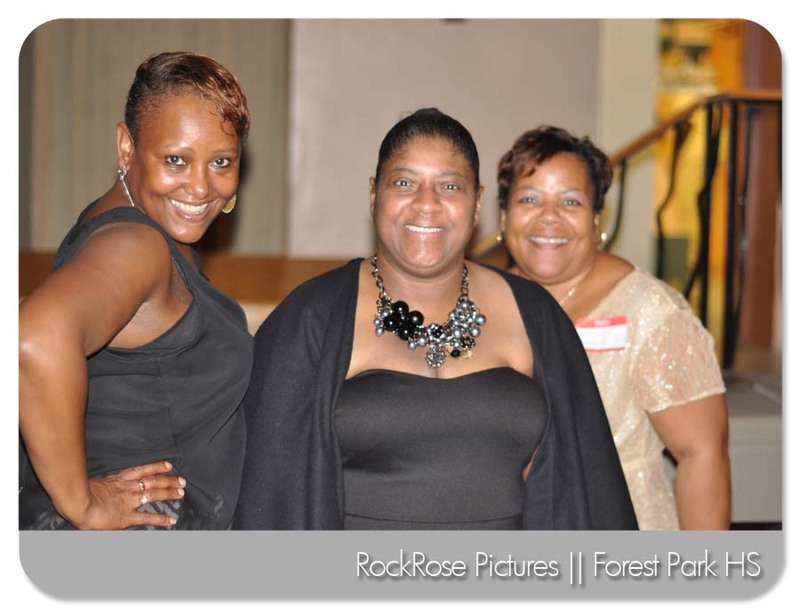 Hosted by a dedicated group of Forest Park alumni, the event reconnects students from across decades and raises funds for current students. 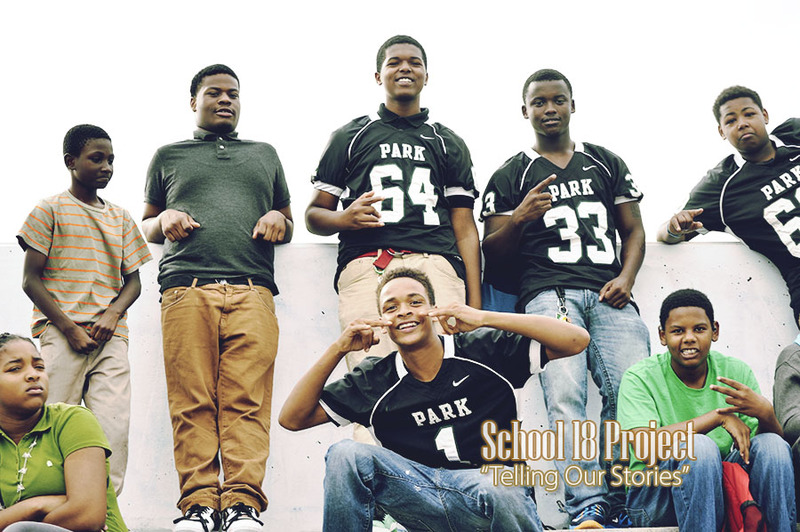 School 18 Project is a multi-year retrospective of Baltimore's Park Circle + area communities. We tell, document and preserve the history. Tagged with Forest park high school, baltimore city, park circle, liberty heights, garrison middle school. January 14, 2015 by clinton green. 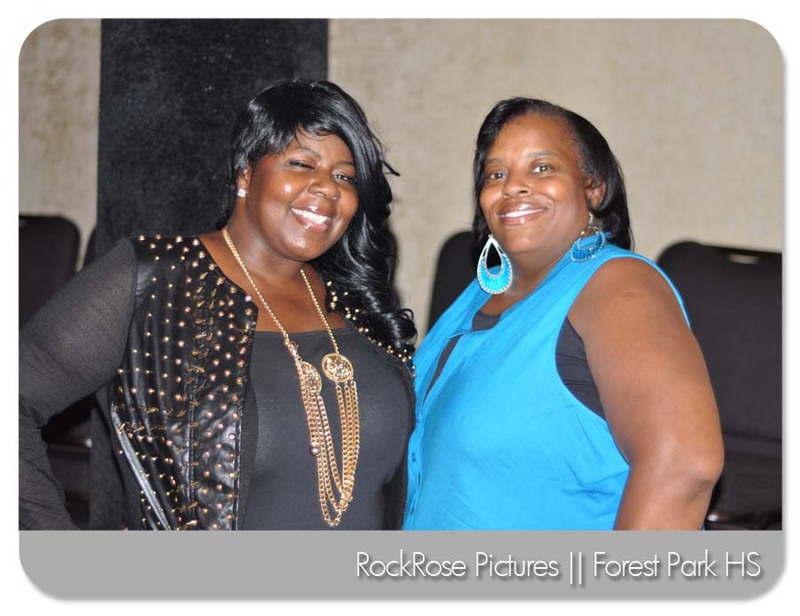 Forest Park's class of 1984 lost a beloved member of their alumni on October 24, 2014. This husband, father, son and friend to many made an indelible mark on so many people. As the preparation for the Class of 1984's 30 year reunion kicked off, James played a vital role in its momentum. A God fearing man, his call and dedication to the ministry was clear. 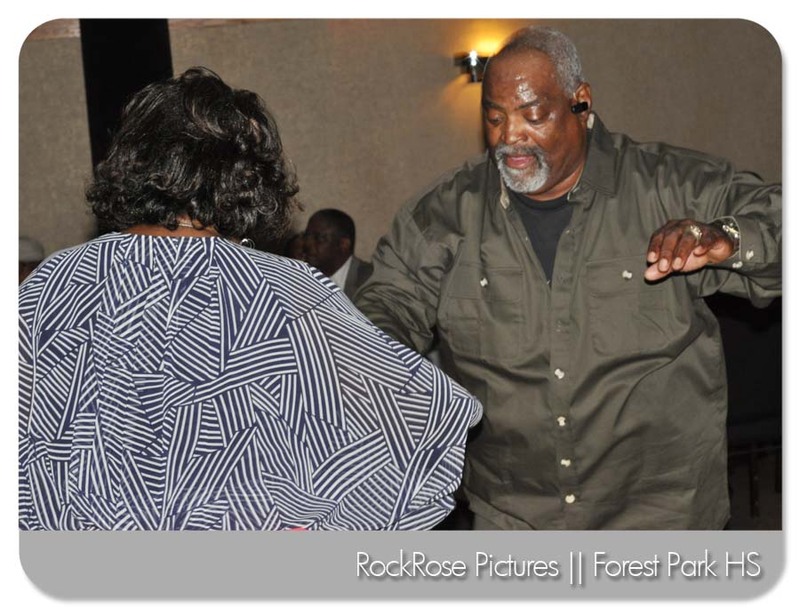 But, once James hit a dance floor, it was on! Although his sudden transition caused much pain, this short film is designed to bring a warm smile as we remember James "Dancing Feet" Mosby. 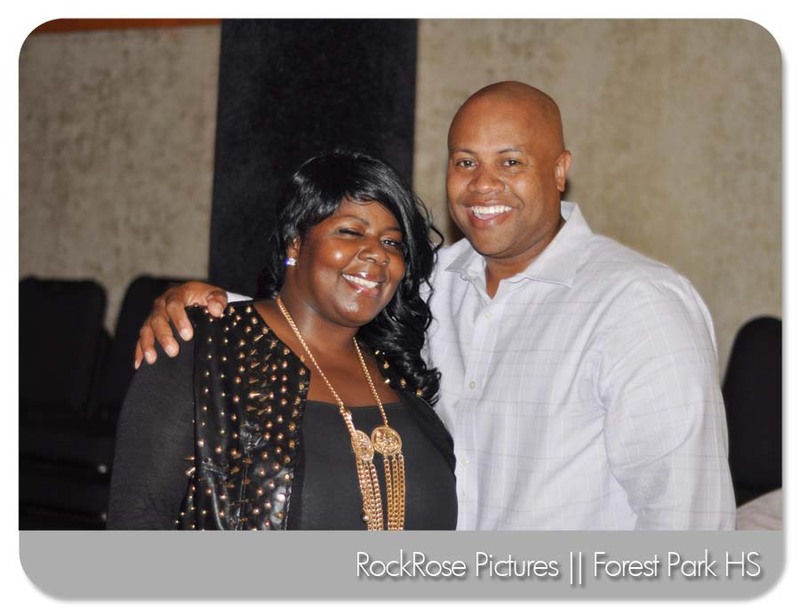 Tagged with Forest Park High School, James Mosby, All Class Reunion, school 18 project. December 15, 2014 by clinton green. October 19, 2014 by clinton green. Debating who is the better athlete at any position is sure to be an all day conversation. However, Jim Parker, the former Baltimore Colt and Hall of Famer, is certainly considered one of the best. Ironically, many who grew up in the 70’s – 90’s in northwest Baltimore know of Jim Parker more for selling beverages than playing football. Before the late Parker opened Jim Parker’s Pub(aka Jim Parker’s Liquors) at the corner of Liberty Heights and Garrison(closed in 1999), he was at Ohio State laying the foundation for a legendary football career. Playing for the demanding and well respected Woody Hayes, Parker was a two time All-American and an Outland Trophy Winner. Named for All-American John H. Outland, the award recognized college’s best interior lineman. Woody Hayes was quoted as saying, “Jim Parker was the greatest offensive lineman I’ve ever coached”. Reputation in hand, Parker came to Baltimore in 1956 after being drafted in the first round. Like a game of chess his job was simple; protect the king. The king was Baltimore Colt’s quarterback and fellow hall of famer Johnny Unitas(d 2002). Parker excelled in his role becoming a perennial all-star and all-pro performer and helping the Colts win two NFL Championships. In 1973, Parker was inducted into the NFL Hall of Fame. He also was one of the most popular athletes which would later help him make the transition from player to retiree. In 1964, Parker opened Jim Parker’s Pub – “At The Crossroads”. These were the days when pro athletes still had to have ‘real’ jobs. In the off season most athletes would work other jobs to supplement their income, and they lived amongst their fans. As such, before Parker opened his own store, he was head of sales promotion for a liquor distributor and ironically Art Donavan, his teammate, was his boss. 1964 was the same year Parker would began to consider retirement but it would be three years later before he would actually retire. Parker grew up on a farm in Georgia, and city life did not always quell the simplicity of farm life. That coupled with injuries and a growing family had him pondering retirement. Like NFLers today Parker would awake in the wee hours of the morning in pain. In December 1967, while undefeated, Parker unselfishly announced his retirement and did it early enough to allow the Colts to get a replacement to prep for their playoff run. Coming into the final game of the season, the Colts were 11-0-2 but had to play their final game against the Los Angeles Rams who were 10-1-2. The Rams won and knocked the Colts out of the playoffs. Although the Colts lost, Parker’s unselfish act and commitment to his team was evident. 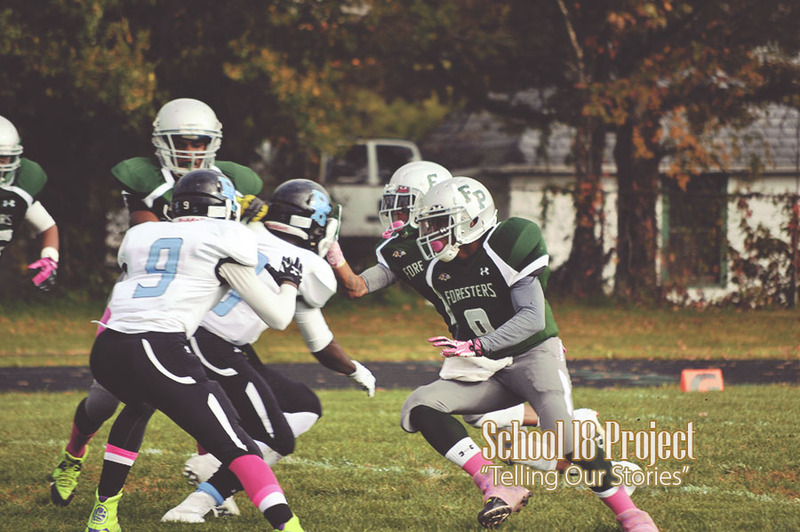 The 6-3 athlete from Macon, Georgia would show just as much commitment to running a successful enterprise as he did on the gridiron. Jim Parker 'liquors' operated for more than 30 years, with its well known owner working long hours and never being considered an absentee owner. Parker was also once a member of the ULBA, United Liquor Beverage Association. 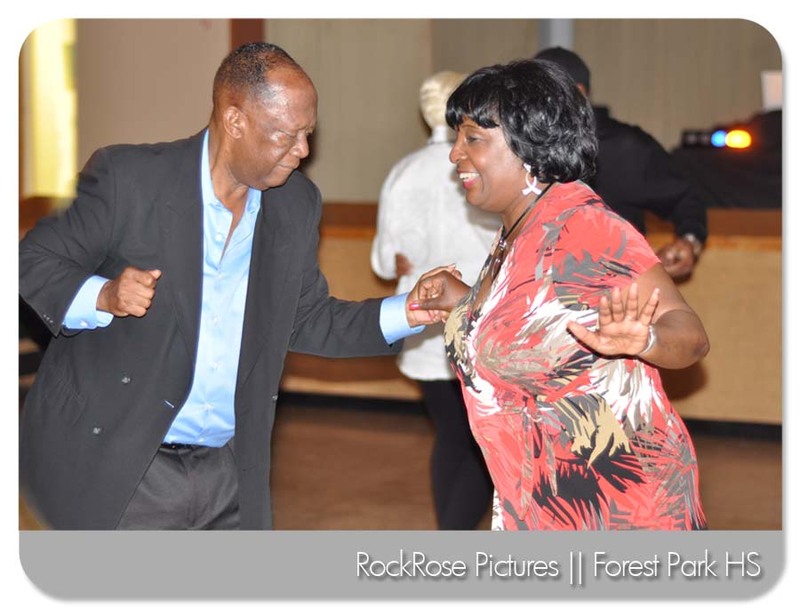 The ULBA launched in the 1960’s and comprised of Black owned/operated alcoholic beverage establishments committed to offering excellent service, clean establishments and assisting with neighborhood events and concerns. After more than 30 years at the helm, neighborhood descension, and failing health, it was time for Parker to write a closing sentence to another great career. In 1999, Jim Parker’s closed its doors. Today, the building that housed this long standing business has since been raised and its space is part of Walgreens parking lot. In that interview Parker also elaborated on the difficulties of balancing a football career and family life. “It broke up my marriage. Instead of spending time with my family, I was putting time in down in the basement, looking at films of defensive ends." After a lengthy bout with diabetes, “jovial Jim” died on July 18, 2005 of congestive heart failure. He was 71 years old. 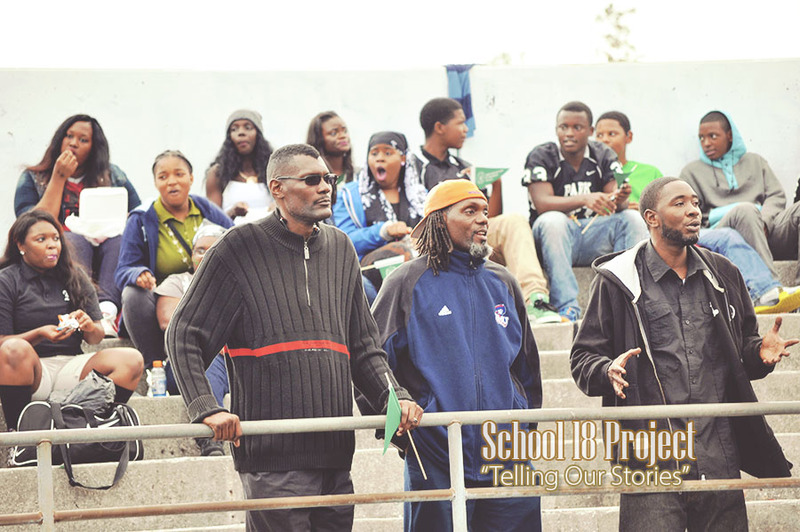 The life of a gentle giant, son, father, companion, philanthropist, and athlete, had run its last yard. Although the building is no longer standing, driving pass Liberty Heights and Garrison, it’s difficult not to think of Jim Parker’s. Tagged with Liberty Heights avenue, Northwest Baltimore, jim parker, baltimore colts, garrison boulevard, jim parkers liquors, jim parkers pub. March 4, 2014 by clinton green. Alisa represents the Class of 84. In this slice of life profile Alisa discusses growing up on Wentworth Road, a traumatic experience at Garrison Junior High, and life at Forest Park. Tagged with forest park high school, forest park community, ashburton. January 1, 2014 by clinton green. 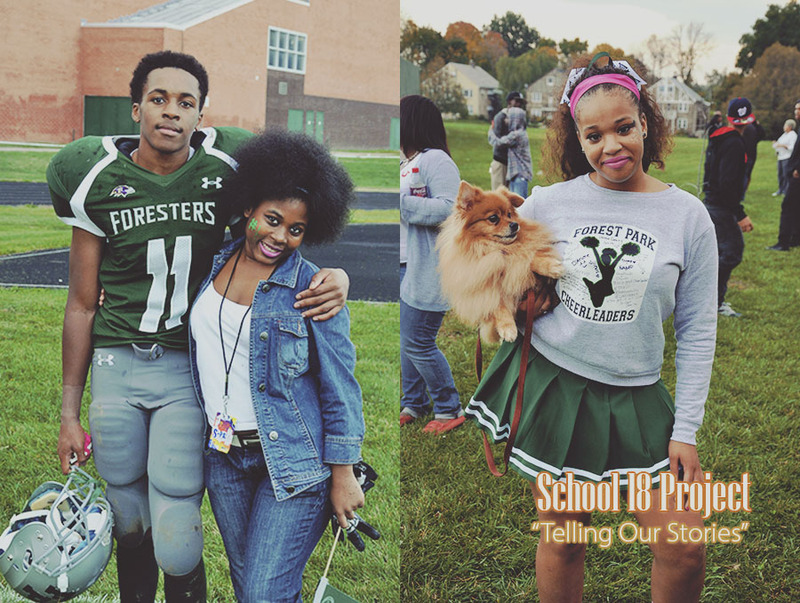 Graduates from Baltimore's Forest Park High School came together once again to reunite and raise funds for students. 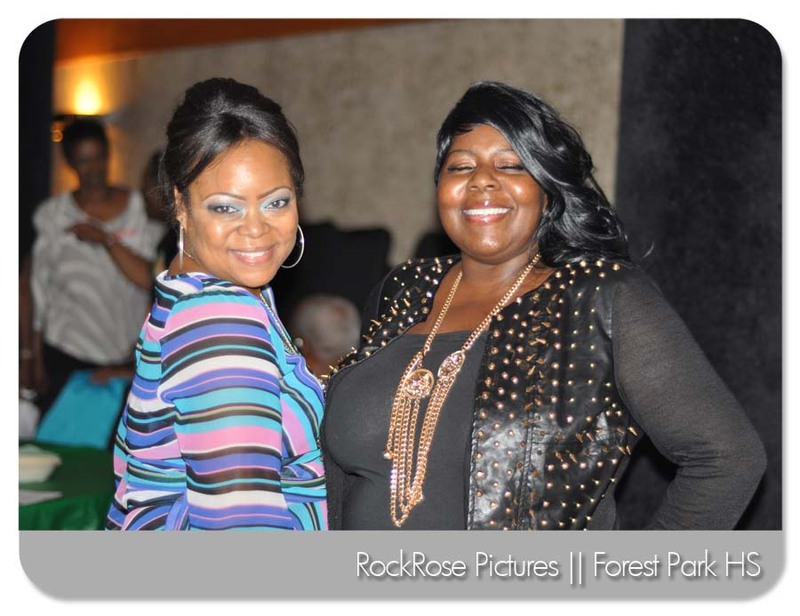 Representing a cross section of generations, smiles and laughter could be seen and heard throughout the night. This film captures the essence of a wonderful night. Tagged with forest park community, forest park high school, Ashburton, West Arington. December 13, 2013 by clinton green. 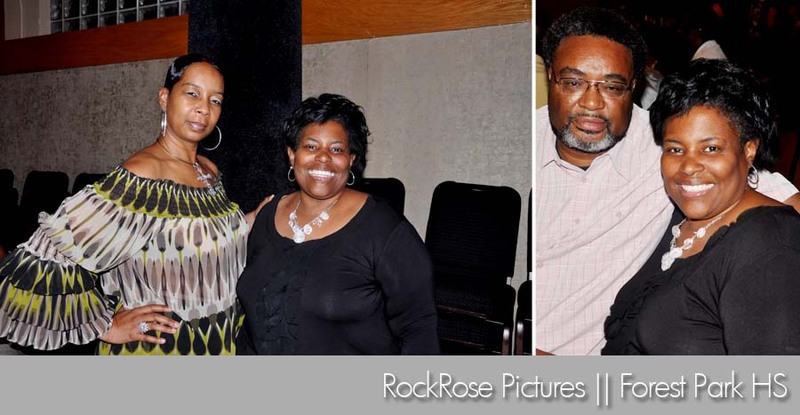 WHEN MOTOWN'S MIRACLES NEEDED A REPLACEMENT FOR SMOKEY ROBINSON, THEY FOUND HIM IN BALTIMORE! It is rare that one gets the opportunity to replace an icon and idol. But Billy Griffin, the Baltimore crooner and Forest Park High School graduate(68), did just that. Griffin grew up admiring and idolizing the legendary Smokey Robinson. After years of honing his skills in local groups including The Last Dynasty, Griffin was ready for a career defining moment. In 1972, Smokey Robinson left the Miracles and Motown’s legendary president, Berry Gordy, had the huge task of finding a replacement. Fresh off a major win in a talent contest, Griffin headed to Detroit to audition for the Miracles. As fate and faith would have it, Griffin beat out all competitors and became a Miracle. In 1972, The Miracles launched a Smokey Robinson farewell tour that also introduced Billy Griffin as the new lead singer. In contrast to the support from Smokey Robinson and his band mates, there were many doubting that the Billy Griffin led Miracles could continue the success they had achieved with Smokey at the lead. One of the factors in selecting Griffin as Smokey’s replacement was not only his voice but his writing ability. The Miracles first posthumous release was 1973’s Renaissance. The album was a critic’s favorite and included production from Willie Hutch, Marvin Gaye and Freddie Perren. One listen to the album and it was evident that Griffin was more than a Smokey Robinson replacement; vocally he was just as good. But the album wasn’t as much a success commercially as it was critically. Enter 1974 and the game would change. After some missteps with singles to promote Renaissance, the Miracles released the album “Do It Baby” and the single with the same name. The platinum selling single “Do It Baby” proved to the doubters that the Miracles were still viable and Billy Griffin was a huge reason for it. The sexually charged “Do It Baby” would be the jab that would ultimately set up the groups knockout blow. In 1975, the Miracles released the album City of Angels. This was a concept album that told the story of a man who follows his girlfriend to Los Angeles where she has hopes of becoming a star. City of Angels also contained the group’s biggest hit, “Love Machine”. The multi-platinum “Love Machine” moved more than 4 million units worldwide and more than solidified the presence of Billy Griffin as lead singer. The album was written by Billy Griffin and fellow Miracle Pete Moore. The Baltimore bred Griffin was at the zenith of his career. Some controversy soon followed with the song “Ain’t Nobody Straight in LA”, a song that highlighted the growing gay lifestyle in Los Angeles. It left many listeners puzzled as to how to receive it. Another interesting song was ,“My Name is Michael” originally written for Michael Jackson’s first solo album. A couple of years of chart success would not be enough for the Miracles to stay with Motown. In 1976 they headed to Columbia records. Their stint at Columbia would not even remotely rival their success at Motown. After a couple of albums at Columbia it was time for a new direction for Griffin. In the 80’s the Forest Park High School grad released three solo albums with classic singles that included “Hold Me Tighter in the Rain” and “Serious”. The 80’s also saw Griffin sign with Motorcity Records. Motorcity Records was a Motown reunion project that not only showcased Griffin fronting a reunion with the Miracles but also writing for other artists. Today, Griffin is still writing and performing. His most recent solo effort, Like Water, can be best described as ‘grown folk’ music. Based on his successes in the UK, Griffin may be more appreciated there than in America, and certainly in Baltimore. Billy Griffin’s musical gifts have taken him across the globe and given him success that any number of artists would envy. Griffin grew up idolizing the man he would replace in a legendary group on a legendary label; Co-wrote and performed on multi-platinum songs; tutored by Marvin Gaye and Smokey Robinson; performed, wrote, produced for one of the greatest record men, Berry Gordy. But a detailed look into his musical landscape as a singer, musician, songwriter, producer and it is easy to see that Griffin has been one of the most underrated talents. As part of the Miracles, he is star blazed on the sidewalks of Hollywood, but was not included when the Miracles were inducted into the Rock & Roll Hall of Fame. This gifted artist whose talents were honed right here in Baltimore has never received the recognition he deserves. How fitting it would be for a wax statue at Blacks in Wax Museum or some tribute at Forest Park High School. We salute you Billy Griffin! Tagged with forest park community, forest park high school, billy griffin, Liberty Heights avenue, motown, garrison junior high. November 3, 2013 by clinton green. It has been 40 years since the death of Baltimore City Police officer Calvin Rodwell. The elementary school that sits at Hillsdale and Liberty Heights has his name fastened to its building. Whether or not the many drivers and walkers who come across this school everyday know who Calvin Rodwell was, what they do know is that no one gets their name on a building without contribution to a community. Officer Rodwell was also part of the Police Department’s Officer Friendly Program. Launched around 1970, its purpose was to get inner city youth to trust and feel comfortable with police. More succinctly, it was designed to get Black youngsters to trust the police. After decades of earnestly developing a reputation for brutality and dishonesty, many citizens did not feel comfortable dealing with police, including the youth. The Officer Friendly program allowed officers to visit elementary schools and engage students in the functions of a police officer, which included explaining their uniform and their responsibilities. The program was such a success that some children began calling any officer, ‘officer friendly’. As a member of the program, Officer Rodwell visited several schools and one of them was Lafayette Elementary where the students grew to love him. Saturday, September 22, 1973 would prove to be a fateful day for Officer Rodwell. Today, what is called in street vernacular “2nd hustle” or “side job”, was known as “moonlighting” in 1973. Baltimore City Police were allowed to take on a second job to supplement their income. Officer Rodwell, like some other officers, drove a cab. The department thought off duty officers driving cabs would cut down on cab robberies. Heroin was thick in Baltimore and addicts worked desperately to get their money in order to get their fix. 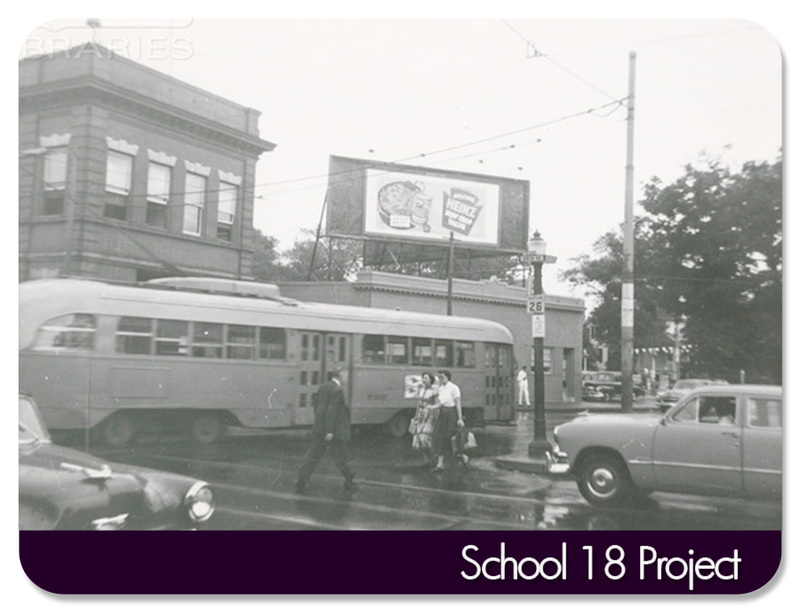 It was Friday, September 21, 1973, when Officer Rodwell picked up 28 year old Lewis W. Walker with the destination to Orleans and Asquith Streets. A known drug addict, Walker robbed Officer Rodwell of his money and the cab. Officer Rodwell, whose service gun was still in the cab chased after Walker and subsequently came across a motorist who he levied for help. The motorist, not knowing Rodwell was a police officer, would not help. Continuing the pursuit on foot Rodwell finally came across another cab. He approached the cab driver - Ridgley W. Young - for help. Ironically, Young was part of the robbery. Unbeknowist to Officer Rodwell, Young knew Walker and had loaned him the gun to do the robbery. Young was sitting in his cab waiting for Walker to return his gun. When Walker arrived to return the gun he was approached by Officer Rodwell. An argument insued. Pleading for his life, Officer Rodwell was shot in the head and chest. He was pronounced dead at 12:50am at Church Home Hospital. Officer Rodwell was 34 years old, married with three children. A month earlier fellow officer Robert Harrison was robbed in the same area of Aisquith Street while ‘moonlighting’ as a cab driver. Although seriously injured after fighting off three robbers, Officer Harrison would fare better by walking away with his life. Both the shooter Lewis W. Walker and his accomplice Ridgley W. Young were later convicted. As the city planned for the closure of Howard Park Elementary, it also was planning a new Elementary school for the Forest Park community. In honor of Officer Rodwell’s commitment to Baltimore’s youth , Calvin Rodwell Elementary was named in his honor. One of the long standing institutions of the Forest Park Community is New All Saints Roman Catholic Church (merger of All Saints and Our Lady of Lourdes congregations). It has served as a guide for parishioners and students alike. 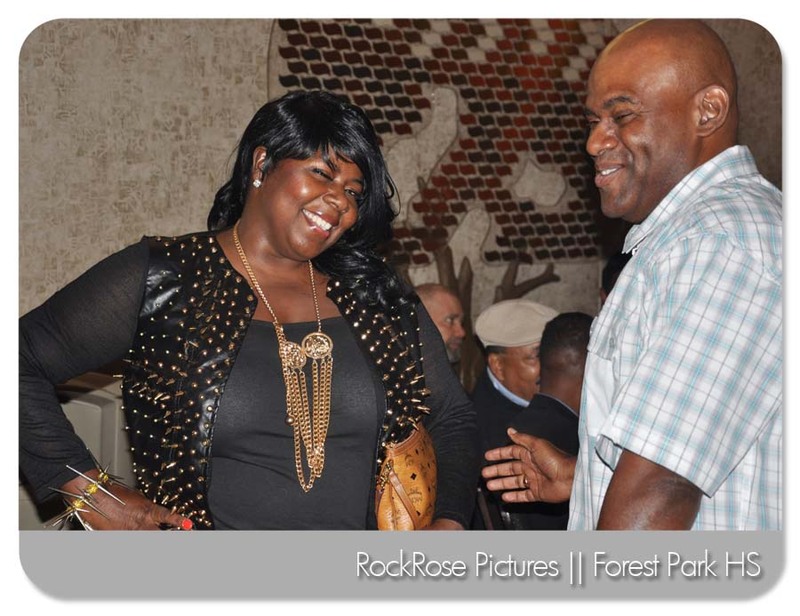 It is also the venue of choice for Forest Park High School’s annual all-class reunion. Like many other well lived communities, Forest Park neighborhoods have its obstacles but also a rich history that will serve it well into the future. More info on New All Saints in our forthcoming church series. Tagged with forest park high school, ashburton, forest park community, liberty heights. The historic Forest Park High School opened at its current location in 1981. While the class of 82 was the first to graduate, class of 84 was the first to complete a full term. There are many notables who have attended this cherished institution including film director Barry Levinson, singer Billy Griffin and former Maryland Governor and US Vice President, Spiro T. Agnew. Even the legendary Oprah Winfrey has made her presence felt at Forest Park. In its inaugural school year(1981-82), Oprah - who was just a local celebrity at the time - addressed an auditorium full of students. As she tapped on the microphone she noted how we had a new school but the microphones didn’t work. Most of the students were just happy to be out of class, not realizing how the person standing before them would later impact the world. Today, Forest Park is planning for major renovations. 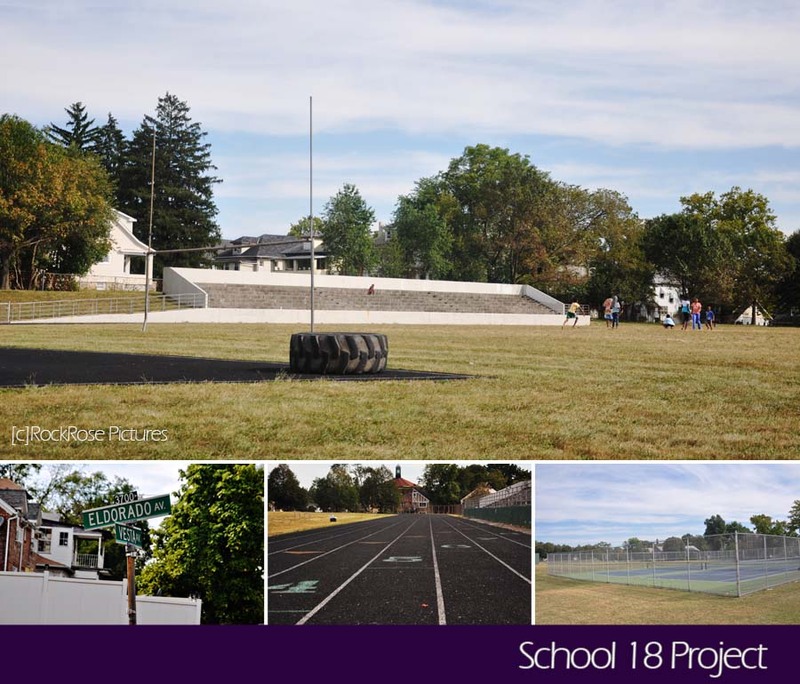 Although not officially confirmed, the plan is to move students at some point to the now defunct Garrison Middle while renovations are made at the high school. The duration is expected to be one year. Tagged with forest park high school, Liberty Heights avenue, eldorado avenue, garrison middle school, ashburton. November 2, 2013 by clinton green. Opening in the early 1920’s, Forest Park began as a combination high school/junior high at 4300 Chatham Road. In 1932 Garrison Junior High School opened at Garrison and Barrington Road. Garrison, which later became Garrison Middle School, has recently closed after 80 years of educating Baltimore’s youth. Forest Park stood at Chatham Road for more than five decades. In the late 70’s the building was razed to make way for the current building that sits on Eldorado Avenue. Tagged with forest park high school, eldorado avenue, liberty heights, ashburton. 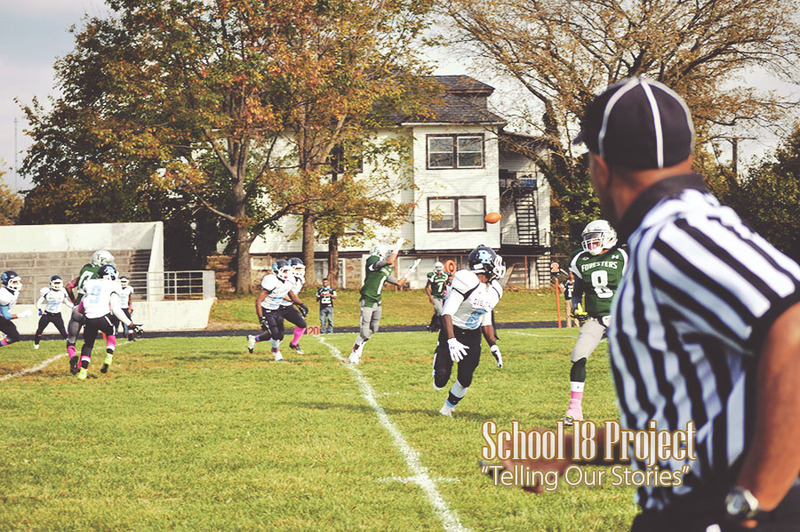 Posted in Community and tagged with forest park high school, Liberty Heights avenue, Northwest Baltimore, Eldorado Avenue, Baltimore City, Gwynn Oak. September 18, 2013 by clinton green. Liberty Heights & Gwynn Oak 1952: I marvel at Coca Cola's marketing with the use of prominent signage. The store behind the Read's truck displays Coca Cola signage. Tagged with liberty heights, woodlawn, gwynn oak, baltimore city, reads drug store, streetcar, ben franklin store. May 15, 2013 by clinton green. Liberty Heights & Gwynn Oak 1952: Baltimore at one time was scattered with movie theaters. The Gwynn Theatre operated from the 1930s-early 1950s. Across the street was the Ambassador Theatre which opened in the 1930s as well. Its last showing reportedly was in 1968. Since then the building has been used for various ventures including a cosmetology school. Also prominent is the Ben Franklin store. Ben Franklin was a five and dime franchise that some say was the first retail franchise in America. Ironically, the late Sam Walton who started Walmart got his start in retail by owning a Ben Franklin franchise. This area was also a thriving commercial district. As malls became prominent some neighborhood commercial districts became more economically challenged. But what ultimately changed communities like this was integration. This was not simply because of Blacks moving into neighborhoods but the behind the scene strategies that were initiated to stall the development of progressive Black communities and contain Black business development. 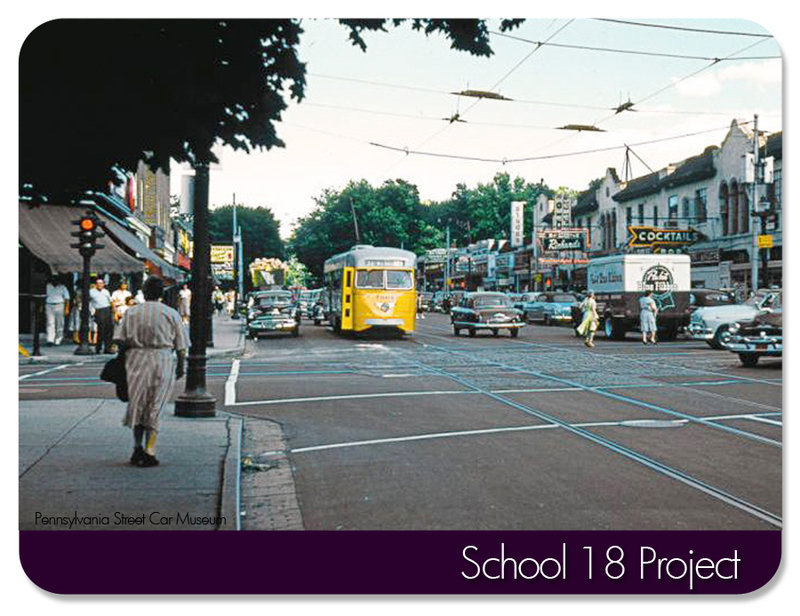 It is the plan of the School 18 Project to detail this history in the near future. Posted in Community and tagged with liberty heights, gwynn oak, baltimore city, woodlawn, streetcar, reads drug store. Liberty Heights & Garrison 1952: Check the classic and prominent Coca Cola sign. Posted in Community and tagged with liberty heights, garrison boulevard, street car. Liberty Heights & Garrison 1952: This area was a thriving commercial district. Check the Pabst Blue Ribbon truck. Pabst started in 1844 and at one time was known as "your grandfather's beer". In fact, it was this writer's grandmother favorite beer. Today it is more popular with "hipsters" and is known in some professional circles as "retro chic" beer. In the 1950's the area still had significant walking traffic. That would change decades later as more people owned cars. Posted in Community and tagged with liberty heights, streetcar, pabst blue ribbon, garrison boulevard. Posted in Community and tagged with liberty heights, baltimore city, provident hospital. May 1, 2013 by clinton green. Liberty Heights 1952: Streetcar passing Wabash and coming towards Druid Park Drive. Less than a decade later Baltimore City Community College would be built at this intersection. Posted in Community and tagged with liberty heights, druid hill park drive, baltimore city community college. Posted in Community and tagged with liberty heights, garrison boulevard. March 22, 2013 by clinton green.